It is with sadness that we here at CC note the death of John Riccardo, the former Chairman of Chrysler Corporation, who died this past Saturday, at the age of 91. His death did not get a lot of attention, coming on the same day as that of Supreme Court Justice Antonin Scalia. But in a way, this was vintage Riccardo. John Riccardo was not a “car guy.” Instead, he was a CPA who, in the 1950s, worked at the “big eight” accounting firm of Touche, Ross, along with the slightly older Lynn Townsend. Both men worked on automotive accounts during their years at the firm, with Townsend being assigned to Chrysler and Riccardo to Kaiser-Frazer. Two years after Chrysler’s chairman Tex Colbert hired Townsend to become Chrysler’s Controller in 1957, Riccardo joined Chrysler’s financial section. Finance seemed to be the management path for a modern corporation in those years, and it certainly was at Chrysler. Townsend would be company President by 1962, at age 43. As Townsend put his imprint on the company, Riccardo followed not far behind, and by 1970 had replaced Virgil Boyd as Chrysler’s President. In fairness, “Rule by Accountant” was not a smashing success at Chrysler. After some initial success, Lynn Townsend’s preference for sales volume above all else would sow the seeds for the eventual downfall of the company, which experienced a minor financial crisis in 1970 and a bigger one in 1974-75. These financial crises were accompanied by products increasingly out of sync with industry trends and epic quality declines. 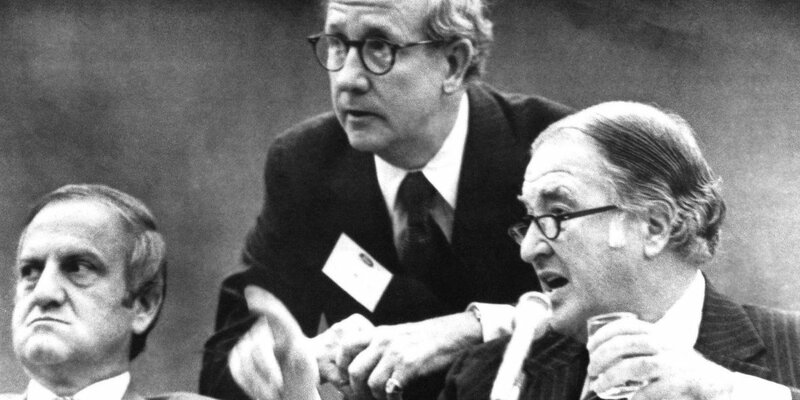 When Townsend relinquished the chairmanship in 1975, he seemed to have been unsure of what the company needed in order to go forward, evidenced by his choice to name Riccardo as both Chairman and Chief Executive Officer and, at the same time, naming Gene Cafiero as President. In theory, Riccardo would bring his financial expertise to the company’s finances, systems and controls, while Cafiero would run the operational parts of the business. In practice, two problems developed. First, the two men did not get along at all. The company had not been functioning well for quite some time, and following the 1975 management changes, things began to unravel as management by trench warfare took hold. This was the inevitable result of the second problem, which was that Townsend had not divided the roles of President and of CEO in a way that gave each man’s role a clear deliniation of responsibility. One thing that could be said for the management team that succeeded Townsend was that it nurtured the new small front wheel drive platforms that would become the company’s eventual salvation. The Plymouth Horizon and Dodge Omni were in production in early 1978 and the K platform was under development. Without these two projects, Chrysler would surely have gone the way of Studebaker. 1978 proved to be a disastrous year for Chrysler. Even in a good year for the industry as a whole, the company saw a record loss for the first quarter. As the company’s performance continued to deteriorate, Riccardo came to realize that the company’ s problems were beyond his ability to solve. 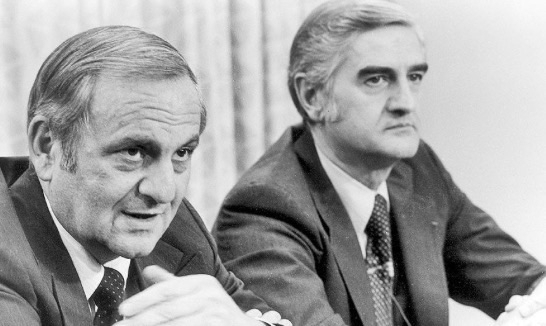 When Henry Ford II unceremoniously fired Lee Iacocca in July of 1978, Riccardo took the lead in recruiting Iacocca to come over to Chrysler. Journalists Michael Moritz and Barrett Seaman wrote an in-depth examination of Chrysler at the time of the transition from Riccardo and the old guard to Iacocca and the new, which is still an excellent read (Going For Broke, the Chrysler Story, 1981). In their telling, Riccardo came off as the sacrificial hero while Cafiero presented as, shall we say, much less noble. Real life is often much more complicated than the stories we glean from it, but it is undeniable that John Riccardo played a key role in the company surviving to see the 1980s. 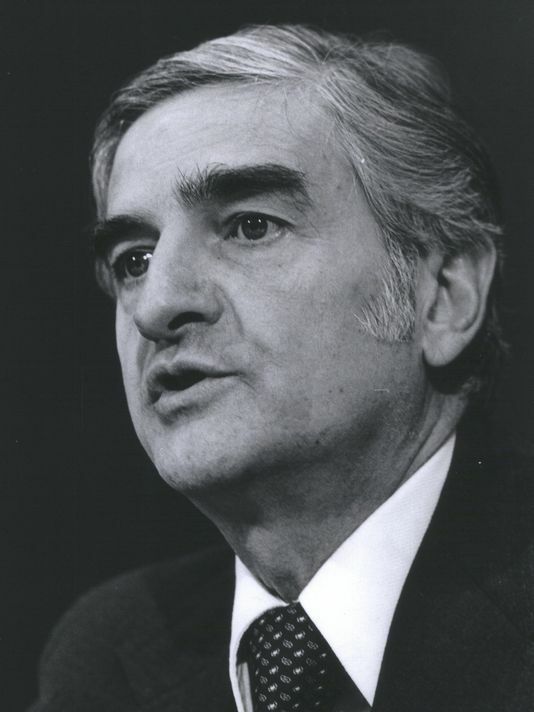 As Iacocca was preparing to take the helm, Riccardo was preparing a pitch to Carter Administration Treasury Secretary G. William Miller for aid to the beleaguered company, Riccardo argued that rapidly multiplying regulations hit the smaller companies hardest, and his request was for tax abatements and regulatory relief. When Miller turned down the request, Riccardo agreed to step down early in order to make a clean break between Chrysler’s old, failed management and its future. Riccardo knew that things were bad and governmental help was going to be required. Chrysler’s chances to get that help would be so much better without “old management” still having a role going forward. 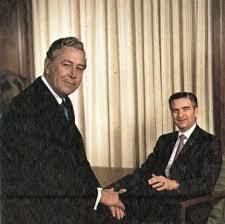 His voluntary departure earned Iacocca’s admiration as a brave act of personal sacrifice for the company. John Riccardo certainly left a mixed legacy at Chrysler. The years from his ascendency to President in 1970 until his 1979 resignation are in the running for the worst decade in Chrysler history. His role in that fiasco cannot go unrecognized, though his sins were not so much about actual mismanagement as about lacking the necessary skillset. After all, Chrysler’s problems were never so much financial as they were operational, a situation that had begun to snowball even in the late 1950s. Riccardo has also been noted for a management style that was blunt to a fault, having earned the nickname “Flamethrower.” In his defense, however, John Riccardo was never really in a position to be in complete control of the kingdom, as he was either under Lynn Townsend’s ill-fated direction or was stuck in a managerial tug of war with a President with whom he found it impossible to work productively. There are few instances in automotive history where a changing of the guard is as stark as that which took place at Chrysler in 1979. Within two years, virtually every senior executive of “Old Chrysler” would be gone, replaced with either ex-Ford people or those whom the ex-Ford people found elsewhere. 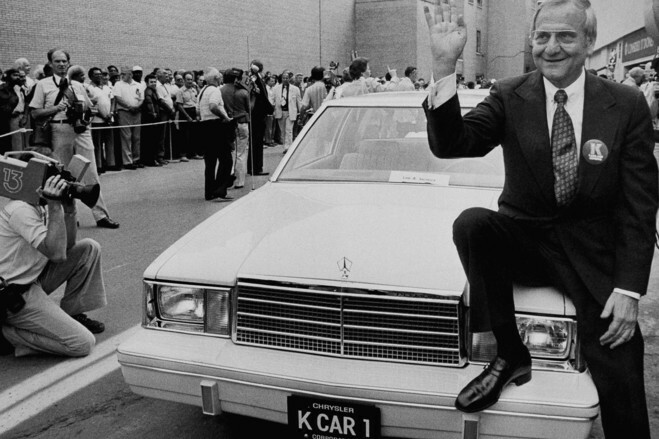 The purge came despite Iacocca’s desire to keep Chrysler’s better managers on board. The new chief’s desire for at least some continuity was done in by a longstanding system that had encouraged development of executive talent that was broad but shallow in its expertise. The managers that rose through this flawed system were, much like those at GM three decades later, unprepared for the demands of a corporate rescue. This massive change was also evident in the products that the company designed, built and sold. The New Chrysler certainly brought the company out of the wilderness and into the mainstream of the American car and truck market. But we cannot help but notice that this 1980s success came at the cost of the unique personality or attitude that had been a hallmark of the old days. There are many stories of failing auto manufacturers led by men who ride the company until its last breath. Others are fired, while others escape in the nick of time and go elsewhere to complain about how they were thwarted by forces beyond their control. John Riccardo did none of those things. He took a singular course in seeing the problem, finding a replacement who was more skilled than he was, and then retiring to a private life that did not involve attempts to burnish his legacy. He was, by all accounts, an honorable man who did his best in a time and a place where his best was not good enough. His recognition and acceptance of these hard facts displayed a talent and levels of grace and unselfishness that are not seen often enough in big business. Interesting review JPC – it tells me of a capable but honourable man who recognised his limitations and also the need for a clean break, if partly for political and presentational reasons. Senior Detroit managers of this era never got a favourable write in Europe as the likes of Chrysler and GM cut back in Europe (especially in the UK), and they were identifiable and therefore guilty of favouring US assets, incompetence and/or greed. OOI, do you know if Townsend and/or Riccardo were instrumental in the acquisition of Rootes, starting in 1964, or did they have to make the best of someone else’s choices? It was Townsend who bought Rootes in an attempt to gain some European market share as Ford and GM had. I have read some criticisms that Townsend did not shop very carefully and was intent on buying a European car manufacturer no matter who it might have been. The Rootes purchase never translated into U.S. sales, where Opel and Ford of England had some periodic successes here. I have no doubt that Chrysler U.S. was divesting of foreign holdings pretty severely by the mid 1970s, but it wasn’t just Europe. Chrysler was also dumping its non-automotive businesses (like Airtemp and Chrysler Marine) in the U.S., too. Both Townsend and Riccardo were accountants, and knew that the bills would have to be paid somehow. Yeah, I think they could had instead let Rootes going under and buying the renmants for cheap or simply focusing on Simca. When your product is crap it is good to have someone who is passionate about the product as your leader. Correct me if I am wrong, but wasn’t the K-Car program, which was helpful is saving Chrysler, started underRiccardo? Yes. The L body OmniRizon was in showrooms in early 1978. The K platform was under development by then and was the one thing that Iacocca was able to use to show that the company would be viable in the 80s. We car fans love to deride business leaders with a financial background. Bill Allen is an example of a non-engineer (a lawyer!) who had a very successful leadership tenure. He took on huge business risks for Boeing, despite not wanting the job at first, & won big! So credentials aren’t everything. Huge respect for Bill Allen. Remarkable foresight and commitment. Nice article on someone who has been virtually forgotten today, even among those who follow the domestic auto industry. I’m guessing that those full-size Chryslers in the third photo were sitting in the infamous “Sales Bank.” Townsend would determine how many cars had to be produced to earn a particular amount of profit (which, in turn, influenced the stock price), and then had the factories produce that many – whether the dealers were ordering them or not! Chrysler Corporation would then beg and/or threaten the dealers to take the overproduction. Meanwhile, the cars, which hadn’t been built with loving care in the first place, sat outside in all sorts of weather. Riccardo unfortunately maintained this destructive practice. In the Going for Broke book, the authors detail how it was standard procedure for zone sales guys to rent hotel rooms at the end of every month to start working the phones to cram cars down dealer throats (often with discounts or prizes) so as to keep numbers up. Dealers quickly learned to hold off on orders until the monthly pressure calls came in so as to be able to buy more cheaply or to get a free cruise. It was also during 1974-75 that Chrysler became the originator of the customer cash rebate. It was during the Super Bowl that Joe Garigiola first announced the Chrysler rebates. I have the 1975 Ford dealer book in which they also shortly after put on rebates that they claimed beat Chryslers. And they did. Chryslers had stipulations. Ford’s didn’t. And also Ford originated the first rebates back in 1914. Henry announced that if Ford sold more than 300,000 cars that year they would decide on a figure between 40 and 60 dollars and send it back to the purchaser. 309,000 were sold and $50 dollar checks went out. That was part of the stockholder uprising that caused the Dodge Brothers to leave. $50 a car was essentially all of Ford’s profit that year. Super Bowl Sunday, January, 1975, to be exact. The whole rebate thing was the brainchild of Chrysler sales exec Bob McCurry. It was definitely a short-sighted stunt which, to this day, has had a less-than-stellar residual effect on domestic car sales. Consumers learned, all too soon, to wait until manufacturers offered rebates (and, now, incentives) to get a better deal, which also had a lasting impact on used car resale values. FWIW, the car that got the first rebate was the 1975 Dodge Dart Sport. That’s interesting, as I thought that the full-size C-bodies were the ones glued to the lot in early 1975, thanks to a combination of the gas crisis and resulting recession. $250 rebate, sounds like peanuts today, but was enough for some back then for a down payment. The story I heard end 73/beginning of 74 was that Townsend had issued his orders for production rates, then gone on a long vacation in Hawaii, with instructions to not be bothered. Sales cratered from a combination of the oil embargo, and customer resistance to the 74 models due to their terrible running characteristics (last year before catalytic converters and engines were notorious for their stumbling, stalling, dieseling,and gas guzzling habits) and the seat belt interlock, which drew such howls the reg was repealed by spring 74. No one had the stones to call Townsend and plead for authorization to reduce production rates. 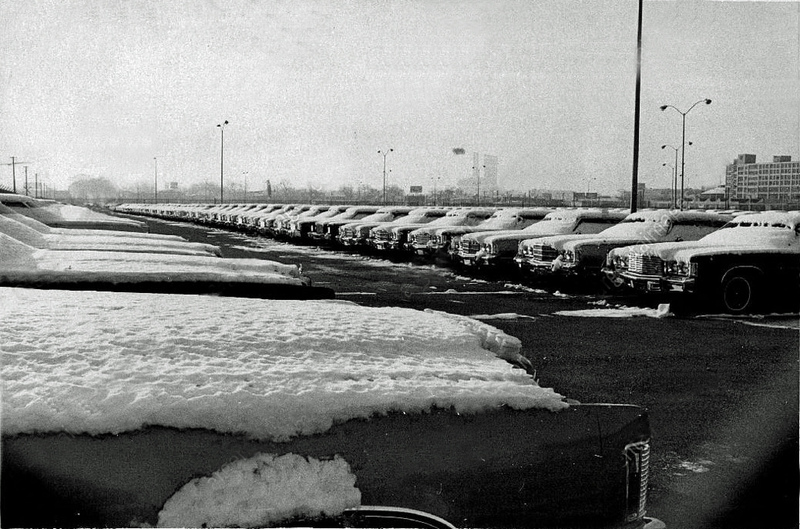 Chrysler had cars piled up everywhere, including the Michigan State Fair grounds. The theory of the sales bank was supposed to be a way to smooth out the boom/bust cycle in the plants. Instead of paying guys on layoff and then paying OT to catch up when the orders came in, the plan was to keep an inventory that would speed up delivery of new cars to dealers and cushion some of the up/down cycles. Of course, we know what happened, and when the economy tanked in 1974 after a record-breaking 1973, it seemed like every vacant lot in Michigan had new unsold Mopars parked there. A situation that repeated itself in 1978-79. The theory of setting production rates without regard to actual sales demand was a familiar one: George Christopher (mis-)managed Packard that way during the 1948-49 22nd Series concurrent with the same approach being practiced by Kaiser-Frazer at Henry J’s behest. The results were the same, as the post-WWII seller’s market ended, massive inventory overage clogged factory and zone lots. Packard management set aside $3M to assist dealers in clearing heavily discounted inventory, there went their profits. A quiet internal ‘coup’ against Christopher took hold, ousted him as company president at the end of 1949. At K-F, Joe Frazer backed away from active management, sonny-boy Edgar Kaiser took his place as president. K-F eventually cleared the glut at huge losses, did use up part of the old ‘style bodies as ’51 Frazers. It was a lesson unlearned as both companies committed overproduction runs in succeeding years, actions that contributed to their demise. The “sales bank” would be a typical beancounter approach. A beancounter can calculate the cost of varying production, laying people off, then recalling them, then paying overtime. Much cheaper to have a steady production rate, then blame sales for failing to maintain a sales rate that matches the steady production rate so the company doesn’t pay excessive carrying costs for the inventory. The cost of having the cars sitting out in the weather, deteriorating, is hard to calculate, so a beancounter ignores. it. The events at K-F were more lurid than that. K-F knew that Ford and GM were coming out with new models in 49 and Frazer advised reducing production rates. Kaiser thundered “Kaisers never retreat”, and ordered materials ordered and production scheduled for a higher rate than in 48. Kaiser couldn’t stand being shown wrong, so he pushed Frazer out of management. Then Kaiser started to push the experienced auto industry people that Frazer had recruited out of the company as well, replacing them with people from his west coast construction and shipbuilding operations. The west coast Kaiser people may have been competent in a shipyard, but they didn’t know diddly about building cars, and they were derisively referred to as “orange squeezers”. From my reading about the independents in the 50s, there were things that Packard, Studebaker, Nash and Hudson could have done differently that might have yielded better results, but, as long as Henry J was calling the shots, K-F was doomed by his hubris. Another problem at Kaiser-Frazer was the demand by lenders that, as a condition of extending more credit, the company’s executives had to agree to be personally liable for the repayment of the loan. Normally this was just a formality, but given Kaiser-Frazer’s precarious financial position, Joe Frazer was unwilling to do just that. That was another big reason why he left the company. I had not heard that one. iirc, most of K-F’s loans came from the RFC. As a condition of one of the subsequent loans, K-F was required to seek defense contracts, which lead to the C-119 contract and the scandal about K-F gouging the Air Force and a requirement to build a small car, which lead to the Henry J. From sources I have read, Frazer was pushed out of active management for being right about 1949 sales, but retained his seat on the Board, until Henry Kaiser had “Frazer” removed from the company name. Then Joe resigned from the Board. “The events at K-F were more lurid than that.” I was being kind! Anyone who hasn’t and is interested in the post WWII automotive business should put ‘The Last Onslaught on Detroit’ by Richard M. Langworth at the top of their reading list. Another good one is “Built To Better The Best” by K-F Owner’s club historian Jack Mueller. Henry J. Kaiser had experienced huge success in building Liberty ships during World War II. He built them faster than the enemy could sink them, virtually making him a household name. He undoubtedly suffered from hubris, but, to some extent, he had earned the right to feel that way. Unfortunately, he failed to realize that trying to enter a very competitive, mature industry where style and price are paramount customer considerations is entirely different from building defense equipment for the federal government. I don’t think it’s necessarily a bad thing to have a “finance guy” as CEO–after all, the textbook mission of a corporation is to increase shareholder value. However, I think instrumental to a “finance guy” having a successful tenure is having “product guys” in other key leadership roles that he can look to. The way Townsend set things up, with a finance guy and an operations guy in dual (dueling?) lead roles may not, however, have been ideal. It sounds like Riccardo does deserve a lot of credit for doing what was needed to right the ship and then stepping gracefully into the background. Part of real leadership is knowing when to step aside rather than having control wrested from your deathly grip! Humility is a too-often-overlooked virtue. 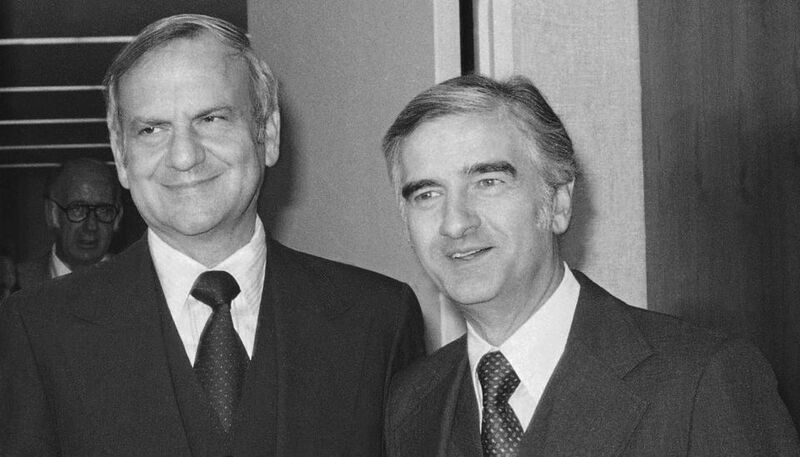 It took some humility to say, in effect, “I’d better step aside for the greater good” and for that we owe Mr. Riccardo a debt of gratitude, opening the opportunity for Lee Iacocca to step in. I will, respectfully, take issue with the idea of the 70’s being ChryCo’s worst decade. Three years ago I’d have agreed, totally, but with current FCA boss Sergio Marchionne’s continued bluster while many products suffer, I have to wonder if ten years from now, another company will own Jeep and the rest will be history…which, to me, would make the present decade the worst. There might be some method to the Sales Bank madness. Someone can correct if wrong, but I believe that back in the good ‘ole days, there were UAW work rules that stipulated line workers would continue to receive something like 90% of their regular hourly pay even if they weren’t working. If true, it makes sense that Townsend would rather keep them building cars if they were paying them, anyway, unlike Ford or GM who could better afford to pay workers for doing nothing when sales were slow. Then, when Iacocca took over and the company was in dire straits, he might have gotten concessions from the union that substantially reduced (or maybe even eliminated) what Chrysler had to pay idle workers, paving the way to get rid of the Sales Bank. 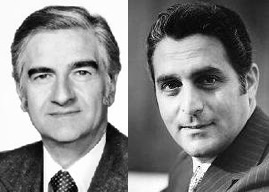 Regardless, John Riccardo, despite the dismal seventies’ years he was co-chairman with Gene Cafiero, really does seem like an unsung hero of Chrysler. He wasn’t flamboyant like an Iacocca or Delorean, but it seems like his intentions were truly in the best interest of Chrysler, up to and including orchestrating the hiring of Iacocca and helping him as best as he could (something that Iacocca has specifically mentioned in his memoirs). I wonder if Iacocca will attend the funeral? Keep in mind, that 90% included unemployment insurance. The automakers were only paying a small part of the 90%. And in the early 1980s, one of the concessions given in return for greater flexibility on layoffs was . . . the jobs bank. The Jobs Bank, which required UAW members to be paid even if they weren’t working, wasn’t created until the early 1980s. The idea was created in response to the numerous plant closings by both Chrysler and Ford during the harsh 1979-82 recession. It ended up hurting GM most, as both Ford and Chrysler had slimmed down their production footprint during the recession. GM, under Roger Smith, had specifically avoided doing this. As GM’s market share fell in the 1980s, it was stuck with massive amounts of overcapacity – and lots of UAW workers still on the payroll. The Sales Bank was invented by Townsend in the mid-1960s, long before the Jobs Bank. The goal was to push Chrysler production to higher levels, which would eventually generate more revenue and market share, thus propping up the stock price. The problem was that Chrysler spent a lot of money to gain those extra sales, and the cars often sat outside for weeks as the corporate sales staff tried desperately to push them on to dealers. This hurt their quality, which often wasn’t stellar in the first place. The Sales Bank also masked the weakness of various Chrysler products in sales appeal. On paper, the 1969 C-bodies, for example, sold almost as well as their successful 1968 counterparts. There was one catch. By February 1969, Chrysler had over 480,000 cars in the Sales Bank! You can bet that plenty of those were C-bodies that dealers hadn’t ordered, because of customer complaints about the styling and quality of the interior trim. *cringe*, my dad had a 69 Fury III. A lemon of significant proportions, though not nearly as bad as my POS 78 Zephyr. The “floodlit” instrument cluster was, I am sure, cheaper than backlit instruments, but it worked well enough. The big cracks that developed in the dash were not that unusual for the time, but the rampant electrical issues were a constant headache. I remember one day dad commenting “hmm…the temperature and gas gauges are swinging back and forth in unison.” A while later, those gauges died entirely. Something would randomly leak current and leave him with a dead battery. Chronic carburetor problems. Oil leaks. Problems with door latches and window regulators. 1969 was a bad year for assembly quality, especially with the new C body cars. On the flip side of your Dad’s car, a good friend and I went to look at a 69 Fury II sedan that was privately for sale around 1979 or so. A one-owner car (a pig farmer, as I recall) *Gorgeous* condition in and out, and ran/drove flawlessly despite fairly high miles. My friend wouldn’t buy it without his father looking at it, and by the time we got back with his Dad, it had been sold. It seemed like Chrysler could build one of these for every one like your Dad’s, and the only way to know which was which was to buy it at 10 years old when the good ones had outlasted all of the bad ones. It seemed like Chrysler could build one of these for every one like your Dad’s, and the only way to know which was which was to buy it at 10 years old when the good ones had outlasted all of the bad ones. I have heard comments from others that Mopar reliability was hit or miss. A good one ran forever, but they built a lot of bad ones. It could be it just took 10 years to get an average Mopar sorted out. My Grandfather’s 66 Plymouth started out bad. I remember him starting to wonder if he had a lemon he had so many issues early on. He was a mechanic though, and eventually got it sorted out. My Aunt’s 65 Fury III wagon ran like the hammers from day one. Lee is now 91- makes me wonder if he’d make the trip from Bel Air,CA to Ann Arbor, MI. It could be interesting to wonder some “what if?”, if they couldn’t get Iaccoca, Chrylser going the way of Studebaker and/or having some renmants acquired by others. I checked an exterpt of Iaccoca’s biography on Google books where in 1981, he mentionned the idea of merging Chrysler and Ford (that was before Chrysler acquired AMC-Jeep from Renault in 1987) https://books.google.ca/books?id=HnK9lhWQh-cC&pg=PA361&dq=chrysler+ford+merger&hl=fr&sa=X&ved=0ahUKEwix1-v_4v_KAhVB5SYKHcgMCIMQ6AEITTAE#v=onepage&q=chrysler%20ford%20merger&f=false what if Phillip Caldwell was more receptive to that idea? Chrysler products got quite confusing in that era Rootes cars lost quality and gained Chrysler badges then evaporated completely, While Chrysler Valiants were built by Mitsubishi Australia and Mitsubishi products gained Chrysler badging only to revert to original when Chrysler disappeared completely in the early 80s. I have a pretty negative impression of Riccardo. For as long as I can remember, big three honchos always blame all their problems on either the union, the government, or the Japanese. It is never, ever, management’s fault, they insist. I remember well when Riccardo went to DC for a handout. His opening gambit was to blame all Chrysler’s problems on the government, all those safety and emissions regs which were so “burdensome” to Chrysler because the company was smaller than GM and Ford. This posture completely ignores the fact that Toyota, Datsun and Honda had all started at nothing in the US and prospered in the same regulatory environment, with lower volumes than Chrysler, so the compliance cost per car would be even higher for the Japanese firms than for Chrysler. But rather than sitting on their backsides and whining, like big three management, the Japanese complied with the regs and delivered a better product at the same time. Riccardo demanded the government *give* Chrysler a Billion dollars as “compensation” for the “burden” the government has placed on the company. I could hear the laffing at his hubris from Kalamazoo. I read an article by Iacocca about what he found when he took over. In spite of the company being run by accountants for 20 years, there were no financial controls. No one could tell Iacocca what it cost to do anything. For instance, Iacocca could ask what it cost to make one of those whining Mopar starters, and no one knew. My read is that sloth on the part of management was the root of Chrysler’s dreadful quality in the 70s. Instead of looking for and eliminating waste, or designing products that could be made more efficiently, management would repeatedly decree looser production tolerances and cheaper materials, because that was easier than actually managing product cost. And the beat goes on. Chrysler brands today dominate the bottom of quality, reliability and customer service rankings. Chrysler was indeed a complete mess by 1979. Iacocca said that if he had known how bad it really was, he would never have come. He knew that there was work to do, but did not know that he was going to have to start from scratch. Chrysler was always sort of a “one-man company”. Walter Chrysler was simply brilliant and K.T. Keller was very good. My read is that Keller’s one big failing is that the next tier of executive talent was completely lacking. Once Keller retired in 1956, it was as if the last adult was gone and the rest of the old-timers (who had been there since the 30s) treated the place like an old-boys’ club where they could drink their lunches and coast on their engineering legacy. Townsend came into things the year after Keller retired, so things should have been in pretty good shape still. By 1962, the place was practically on fire. Townsend was a numbers and balance sheet guy who, as I read things, could go into great detail about trees while never noticing a forest. After he saw great sales gains by 1965, his best years were over. From then on, the U. S. vehicle market was fairly stagnant for the rest of the decade and the sales gains that he fixated on became harder and harder to come by. Accountant that he was, the answer was to cut costs instead of investing in better product, and by 1970 the results really showed. Riccardo took the presidency in 1970 when things were really starting to get ugly. FWIW, I think that what he said was true about the regs hitting Chrysler hard. Of course, they hit AMC even harder, and AMC almost outlived Chrysler. I just think that as a numbers guy, and not as a guy with a gift for marketing, manufacturing, engineering, or style/design, he had a very limited toolbox with which to deal with a ship that was half sunk by the time he took the reins. Really, did anybody buy a 1972 Newport, Fury or Polara who was not trading in an older Mopar? That was a failure from top to bottom, from the folks picking the styles to the guys building them and everyone in between. Had Riccardo spent time in a better managed manufacturing company, he might have recognized more of the problems. But he had not. He had been there since 1959 when things were getting pretty screwed up anyway. He could probably done well at a company that was decently set up and run to start with. Chrysler in the 70s was not that company. I take Iacocca saying if he’d known how bad things were at Chrysler, he’d never have accepted the position, with a grain of salt. The thing is, if it’s to be believed, it makes Iacocca look like the second coming of Christ in being able to ‘save’ Chrysler. It’s similar to how Delorean, in his autobiography, maintained he quit GM, when the truth is probably much closer to he was about to be fired (something that Ed Cole, himself, was reported to have said). While it’s certainly believable that things were a chaotic mess, and no one can dispute Iacocca’s success at the company (at least in the first few years), I’m more inclined to believe that Iacocca’s words about the situation at Chrysler when he arrived were designed to stroke his massive ego more than anything else. In retrospect, Chrysler’s problems in the early 1960s were fairly easy to fix. The corporation needed to improve the build quality and reliability of its vehicles (which the engineers were busy doing even before Townsend took over, and with noticeable results), fix the wacky styling and bring back some separation between Plymouth and Dodge. The problems weren’t that hard to spot or fix. For example, you didn’t have to be an expert on design to realize that, after 1959, Exner’s designs were simply too far out of the mainstream to win widespread public acceptance. The challenge was what to do after those problems were corrected, and that is where Townsend failed. Had Riccardo spent time in a better managed manufacturing company, he might have recognized more of the problems. But he had not. He had been there since 1959 when things were getting pretty screwed up anyway. It is pretty much impossible to spend a lot of time in an organization and not see problems, if one has an open mind. I have worked at several companies over the years where management was drowning in it’s own hubris. Of those companies, one was bought out and management given the heave ho. One went bankrupt about a year ago. Another is currently being taken over by a competitor, if it clears anti-trust scrutiny. If Townsend was blind to his limitations, Riccardo had a front row seat and plenty of opportunity to try and persuade Townsend to make changes. Failing that, Riccardo could have started making changes himself when he was in charge. The fact that the company continued to circle the drain after Riccardo took over tells me he owns the company’s failure. He was another yes man, in a long line of yes men, a culture that is common in US management. In all fairness, Riccardo wasn’t the only one to either miss or keep quiet regarding Townsend’s limitations. Chrysler Corporation’s market share during the 1968 model year hit 18.9 percent, or almost double what it had been during the disastrous 1962 model year. The Plymouth Road Runner and Dodge Charger were two of the hottest cars of the year. At the end of the 1968 model year, the press – even the business press – was throwing accolades Townsend’s way, crediting him with bringing Chrysler back from the dead. In retrospect, we can see what the press missed at the time. In the early 2000s, the press would make the same mistake with Rick Wagoner and GM. That other website, with its “GM Deathwatch” series, really was going against the grain of perceived wisdom in the popular press and business press at the time. That’s more like the impression I got too over the years, especially the part about Iaccoca’s feelings about the place when he took over. None of the financial/control systems he was used to from Ford apparently were there, and he had ram a lot of them through quickly, to keep the place from drowning even faster. I wasn’t there, but the vibe around Chrysler during the 70s reeked of terminal decline. And the fish stinks from the head(s) down. As you can tell, I lay most of that at the feet of Townsend, who had pretty much dictated everything up until the time he left in 1975. Riccardo needed some lower level execs he could rely on like the kind that were peppered through the GM and Ford ranks. But Townsend’s systems had not grown any execs like that. I read that Townsend believed that anyone with brains could be put into any job and do it well. What he got was a lot of people who had shuffled around from here to there and never developed a deep skillset. He also had run such a pressurized operation that rewarded yes-men and discouraged the really talented from staying and developing. It really was 2000s GM but on a smaller scale and thirty years earlier. There was only so much one guy at the top could do, even had he been a lot more talented at management than Riccardo was. I guess the “it’s all your fault, now give me some money” approach only works on parents . . . Thank you for this very well-considered read, JPC. +1. This was one great, informative, well-researched and written piece. Articles like this one makes me glad that I found CC. CC has a unique voice in this great ocean of automotive publications. There seems to be little available on what Riccardo did with his 37 years after Chrysler. I suppose that he could have simply retired, and managed sufficient investments along with his pension to putter along. That does not seem very ambitious for a former hard charging executive that retired young. It seems that he may have been tired in his job, and apparently didn’t have any passion for a product that sells to many buyers on passion. Not good qualities for a top auto executive. Iacocca may have been all about the brougham, but at least he had a passion to try and find a way to the buyer’s heart. And, for about 40 years he was pretty damn good at it. Recruiting his successor as he did turned out to be a low key way to burnish his image, he may have flown Chrysler close to the ground, but at least the relief pilot was qualified to get it back in the air. John Riccardo was a very devout Catholic who placed his faith and his family above business. It is my understanding that he spent his time doing volunteer work for the Church and enjoying his wife and family. This shows a typical problem in businesses. Too much reliance on trying to improve for the next quarter. They should really try to improve sales for the next 10 years. Products need to be out there so that the company can produce for the next 10 years. The bean counters only care about the next quarter and if that quarter comes in, they get a bonus. They then rest on their laurels and blame the engineers when the quarter after that is a flop. Also known as the “90 day” mentality. Trying to achieve sale and growth targets to please stockholders and keep corporate raiders at bay!! K-Platform related models had been quite popular used american imports to central and eastern europe during the early ’90s. Those cars were affordable, classy with acceptable fuel consumption and were americans, symbols of upcoming freedom after the fall of the iron curtain in general. Omni and Horizon could be seen daily both with their european weaker european sister the Simca/Talbot Horizon as well as with the Reliant/Aries/600/New Yorker/Acclaim/Shadow/Saratoga models. This bunch contained also the then new models of Chrysler’s Eagle Divison like the Colt, Talon, Stealth, Premier/Monaco, Medallion, etc. But within the next 10 years until the year 2000 these had been slowly but surely disappeared. Their second lives in the South-Eastern European countries had showed that even without regular/official parts supplying network, these were simple as well as durable cars made to last in harsh conditions. There was also and in the meantime forgotten anegdote about their unreliable turbos as well… As unleaded fuel was then rarely available but leaded fuel was standard, owners were got rid of these not so essential extras. Nowdays these cars became very rare headturners when occassionally appearing on the streets of nowday’s South-Eastern Europe. What happened to most of the cars in sales bank? Did they get scrapped? Some were used in Blues Bros crash scenes. They were sold, one way or another. I remember about Chrysler sending a boatload of 1979 Diplomats to Switzerland, because they knew the Swiss were still into American cars. But it was a hard sell. Scrapping them would have been insane; better to get something than nothing. Closing thought on Riccardo’s culpability in the failure of Chrysler. The development of the Omnirizon was entirely on his watch. As a beancounter, he certainly should have known what Chrysler’s shoddy quality was costing the company in warranty claims and owner relations. The L Body was a completely new platform, borrowing little, if anything, from existing Chrysler products. He should have realized he was betting the company on the success of the L Body and, like Harold Churchill 20 years earlier, gone to extremes to make sure the L Body was better turned out than anything Chrysler had made in years. When Road & Track did an owner’s survey after the Onmirizon had been out a couple years, the results showed the car to be one of the very worst they had ever surveyed, challenging their all time record holder for being trouble prone, the Lotis Elan. The article quoted one owner as being sufficiently discouraged that he suggested Chrysler be allowed to go out of business. Riccardo had plenty of time at Chrysler to be aware of the problems, and a clean sheet product to prove to customers that Chrysler could do better. In stead, he delivered the same old Chrysler. I’m not an apologist for Riccardo. However this statement ignores the truth that Japanese makes did not face the same challenges as the domestics with regard to emissions standards as Riccardo testified. By virtue of a (much) smaller typical engine size specifically, bore size, Japanese cars met the early standards for HC without lean mixtures or spark-timing gimmicks. They (like Europe) had been building cars for decades in an environment where the government heavily taxed both engine size and fuel. Americans would have run any politician proposing such a scheme in 1950, 60 or 70 out-of-town with pitchforks. When the Arabs turned off the oil in 1973, foreign cars which had previously appealed only to egghead professors and down-with-capitalism hippies; suddenly made sense to mainstream Americans. An onslaught of safety and emissions controls that complicated American cars only reinforced the point. As emissions standards tightened, even the vaunted Japanese found themselves unable to meet the targets without adopting the same schemes “perfected” by the D3 5-years before… Catalysts, EGR, air injection pumps, and so forth. Of course these types of goodwill patents don’t require royalties, so it’s not as if D3 were collecting any money for doing the early work… Often paid for by the loyalty of their customers who’s stalling, ill-performing cars ran worse then the cheaper, faster models they replaced. This was the scenario Riccardo was predicting, and he was correct. Interestingly, it took decades for the Japanese and Europeans to equip their (protected) home-market vehicles with the same level of pollution controls they installed on export models. In fact, the final set of Japanese emission standards introduced in 1978 were not even mandatory, but came in the form of tax breaks for cars which passed them. It was not until 1993 that Nox pollution (3-way catalyst) was addressed in Japan or much of Europe. I just finished the book “Going for Broke” as mentioned above. A excellent read if interested in auto history. As stated, Riccardo had the courage to clear the decks (getting rid of Airtemp, Chrysler marine, Chrysler Europe and South America) so that Lee would have a clean slate. Also, he was the one who broached the idea of government aid based on the Lockheed situation. The aid came in the form of the guarantee with the stipulation that all parties (UWUA, dealers, the banks, Chrysler, & suppliers) made significant sacrifices. Riccardo performed the radical surgery in order to save the patient. He deserves higher regard in automotive history.